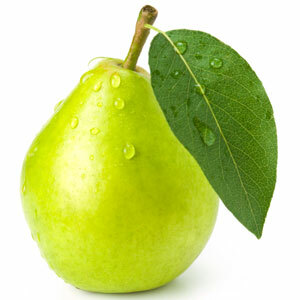 La Petite Poire is written by a thirtysomething woman from Montréal, Québec, Canada. I started blogging about petite fashion and issues out of personal frustration, and it grew into this site. My day job’s in digital marketing, and my heart is on the road. When I’m not blogging or working, you can usually find me running, skiing, reading, debating politics, eating chocolate, or travelling. There are some great petite fashion and style blogs out there, but very few of them are written from a Canadian perspective. I wanted a place to talk, discuss and vent about issues facing petites, and a home for my rants. Basically, I don’t expect anyone to actually read this thing. But if you’re here, welcome. I don’t write this blog for money. You won’t find affiliate links, paid promos, or reviews-for-hire here. Any clothes I review are from my own wardrobe, bought with my own money. Nobody’s giving me any free stuff, so you can trust that my voice is 100% independent. All opinions here are mine and mine alone. If you’re a brand doing interesting things for petites: Please feel free to drop me a line and let me know. Don’t send me money or free stuff; I’m not interested in being a product shill. But I want to do everything I can to encourage more awareness, selection and product availability for petites. If I like your stuff, I’ll gladly let people know. Conversely, if you’re a brand who I’ve reviewed negatively or added to the Wall of Shame: Again, this blog is only my opinion. But statistically, we petites make up one half of the entire women’s market out there. If you don’t like what we’re saying about you, that could be a hint that it’s time to do better. If you do, I’ll happily change my tune. Just a 5’1″, thirtysomething Montréalaise writing about fashion, issues, and the occasional frustrations of being a short woman in a tall world. Retailers banning customers for excessive returns? Note: All product reviews are 100% honest, based on products I’ve purchased with my own funds. I have not received any free products, promotions or credits from the companies I mention, nor am I associated with them in any way. There are no affiliate links anywhere on this blog.